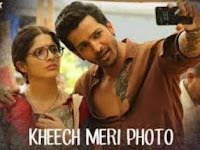 Kheech Meri photo song from the movie Sanam Teri kasam, lyrics were penned by Sameer Anjaan . This song is sung by Neeti Mohan, akasa Sing & Darshan Rawal in the composition of Himesh Reshammiya. hii please provide us the huge coverage of lyrics of the Latest Punjabi and Hindi Songs. so we Read our favorite lyrics with their videos.